Broadly speaking the first quarter of 2018 has been fairly quiet, assuming you can ignore the on-going battle between the operator and regulator / Government to extract a wider roll-out of FTTP “full fibre” broadband (here). Meanwhile Ofcom decided not to impose a temporary Dark Fibre Access remedy on Openreach, but they did pledge to try again next March (here), and BT also reached a crucial pensions deal (here). Otherwise the embattled operator initially seemed to be having a good quarter after their mobile division (EE) grabbed 40MHz of the 5G friendly 3.4GHz band (here). Elsewhere they also announced plans to create 1,300 new UK apprenticeship / graduate Jobs (here) and started to hire another 3,500 Openreach engineers (here). As usual BT has included an update on their capital expenditure and clawback (gainshare) from the government’s Broadband Delivery UK roll-out programme (i.e. public investment returned by BT due to rising take-up in FTTC/P covered areas), which reveals that £536m (up from £527m last quarter) of public funding may potentially become available for reinvestment into further UK coverage of “fibre broadband” services. In addition, BT said that their base-case assumption for take-up in BDUK areas had risen slightly to 41% of total homes passed (up from 40% last quarter). The Government intends to use this reinvestment to help push the coverage of “superfast broadband” to approximately 98% of UK premises by around 2020 (here). The retail side of BT’s broadband ISP business holds the single largest share of “fibre broadband” (FTTC/P/G.fast) subscriptions on Openreach’s national UK network, which saw them add 202,000 customers in the quarter (down from 208K last quarter) to total 5.713 million on fibre based lines. Not to mention that BT also remains the largest consumer broadband ISP in the whole of the UK by quite a wide margin with an overall total of 9,339,000 customers (ADSL, Fibre etc. ), although that’s actually a quarterly drop of -3,000 (compared with +35,000 in the previous quarter) and this fall is partly due to a 5k base adjustment following review. Meanwhile BT / EE’s mobile base continues to shrink (down by a staggering -204,000!) and curiously their 4G subscribers have remained flat on 19.6 million. We also note that BT’s Pay TV (IPTV) base has continued to decline by -13,000 in the quarter. Not good news. On top of all that BT also reported that EE’s geographic (landmass) 4G network coverage of the United Kingdom remains at 90% (the same as last quarter), although they still aim to cover 95% by the end of December 2020. Openreach’s national telecoms and broadband network serves various ISPs across the United Kingdom, including BT itself and various others like Sky Broadband, TalkTalk etc. (i.e. the total broadband and “fibre” lines listed below combine active customers from BT’s own service as well as many other ISPs). It’s worth noting that the quarterly increase of +555,000 in new “fibre broadband” (FTTC/P) lines below also includes the +202,000 added via BT’s own ISP. In other words, BT’s rivals accounted for +353,000 of the total increase (down from +392,000 last quarter). Separately, BTWholesale delivered a total of just 849,000 external broadband lines for other ISPs, which is down by -14,000 in the quarter. At present the operator’s “fibre” based network covers 27.6 million UK premises (up from 27.4m in the last quarter) and the majority of those are reached via their slower ‘up to’ 80Mbps capable Fibre-to-the-Cabinet (FTTC / VDSL2) services. Plus 1.56 million of the total can also now access their FTTP or G.fast based “ultrafast broadband” (100Mbps+) connections, which is up from 886,000 last quarter. We should add clarify that Openreach claims to have now covered 1 million premises with their new 330Mbps capable hybrid fibre G.fast technology (expected to reach 10 million premises by 2020), while they report that 560,000 can access their “full fibre” FTTP network (expected to reach 3 million premises by 2020 and then 10 million by around 2025). It’s not clear if these are all live services that can actually be ordered. 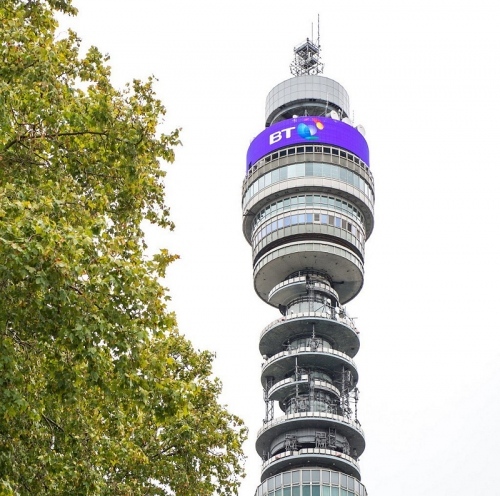 “BT delivered a solid set of financial results in the fourth quarter, with growth in our consumer divisions offset by declines in our enterprise businesses, due to both challenging market conditions and our decision to exit lower margin business. We continue to invest for growth, having now passed 1.5m premises with our ultrafast network and securing 40MHz of 3.4GHz spectrum suitable for 5G mobile services. We are improving our customer experience across the Group, with our key metrics of Group NPS1 and Right First Time2 both strongly up. Our integration and restructuring activities remain on track. The integration of EE into BT is delivering run rate cost synergies of £290m. Our restructuring programme has removed over 2,800 roles and delivered savings of £180m during the year. I am pleased that we have reached agreement with the Trustee on the pension valuation and recovery plan, which is affordable within our capital allocation framework, and draws a line under a key source of uncertainty for our stakeholders. In the Consumer business, BT added that they will launch a new range of converged fixed and mobile products (i.e. to support customer retention, increase loyalty and improve economic returns) and make better use of customer data and digital channels for “more targeted and personalised marketing.” At present we don’t know precisely what this will result in but with EE alongside they could easily do some clever quad-play packages. One big challenge here is that bundling appears to have lost some of its magic in recent years, with traditional Pay TV being eroded by the streaming giants and many consumers still preferring to keep their Mobile plans separate from fixed line services. Today there was an investor chat with some of BT’s top people (mostly involving CEO Gavin Patterson) and we noted a few comments that might help to add some context to the above news. We’ve summarised these below. — We saw a further 4% reduction in copper network faults. — We are receiving good feedback on our commercial deployments of Gfast, and we will continue to use this technology in non-FTTP areas to maintain a competitive position in the near term. — Our longer-term aim is to deliver an ultrafast, all-IP future, which we will deliver, moving from 11 primary access points to just 3, from 5,600 exchanges with multiple setups to just 1,100 fiber points of handover. And from a world where today a physical engineering intervention is required for 90% of customers’ moves or changes to a near zero touch network standardized exchanges that are primarily software managed. This will allow us to lead the market in single order products, lower network faults, deliver real-time provisioning, and allow us to close the end-of-life PSTN telephone network by the mid-2020s. And will of course provide further opportunity to help us improve efficiency. — So, if there’s a change of emphasis today, it is not about the 3 million versus the 10 million per se. We continue to be focused on getting to 10 million. We’re sure about the 3 million. What I would like to sort of emphasize is I think I’m feeling increasingly confident that actually we’re going to get the right set of conditions to be able to make a return on it, and that’s got to be good for shareholders. We understand how to get the unit efficiencies for cost per home passed. And I can tell you, we’re very encouraged by the early signs of that. So, all in all, what I’m saying to you is we’ve got increased confidence that we’ll get to the 10 million. It’s not a sure thing yet but we’re going to make sure we do absolutely everything we can do that and make a good return on top of it. — So, news flow on FTTH. What you’ll get from us is a update every quarter on how we are building that network, and Clive will give you color on how it’s going as he delivers it across the whole of the UK. We’ll talk also about the take-up and the types of propositions that we’re offering to consumers and businesses, but we’re getting on and doing it. The investment in fibre is very welcome and much needed. However, this does highlight very poor top level leadership that this ‘suddenly’ needs to be done. Culling this many jobs is going to hit moral and make delivery of the investment harder. The dead overhead should have been very apparent for a very long time. You don’t suddenly discover overnight that a large % of the workforce are not needed. Feel sad for the staff although the upside is that with the levels of fibre/network investment going on elsewhere anyone with relevant skills should find a job elsewhere. Trouble with this kind of thing is that the best staff will already be putting out feelers to head to pastures greener. The job cuts aren’t for fibre engineers – more likely Global Services will take the biggest chunk- can’t see how losing some staff in Italy & the like affects moral in Openreach team members? As DevonPaddler has mentioned, the bulk of these 13,000 job cuts will be to the Global Services division, which has nothing to do with fibre deployment. There isn’t a sudden need, this has been planned for some time. The ambition for 3 million premises with access to FTTP by 2020 and 10 million by 2025 has been talked about many times. The question will be whether these plans can be either scaled up, or accelerated. The former will be heavily dependent on the actions and guarantees of OFCOM. This whole exercise by BT of wanting more fibre now comes more than a decade too late. BT is in danger of becoming one of those tech dinosaurs on the road to extinction, it wouldn’t be the first company to bite the dust, now that Vodafone/Cityfibre, Gigaclear, Hyperoptic, VM and others are eating into BTs core market. Are they really eating into it currently? Some small roll-outs, nothing major so far. You conveniently forget (to make your BT bashing more credible) the amount of regulation applied to BT. If I told you to build a million new hotels with your own money, and that you had to make them available for others to buy. And then said, the money you get back for those hotels won’t be controlled by you. But by another party and you might not get the money back on your hotels for many many years, or even at all. Would you be in a hurry to start building. There’s no such regulation applied to the other companies you mention. So…. let’s not compare apples with fridge freezers. Otherwise your points can’t be taken seriously. BT may be over-regulated, Ofcom certainly has its share in BTs failure to deliver fibre. However, BT was also the recipient of a lot of taxpayer’s money, and it already had a lot of infrastructure in place, like cable ducts and poles, or exchange buildings. On balance, BT has dug its own grave and was poorly managed. It may be desperate now to deploy some fibre, but it’s way too late now to catch up. It amazes me how shareholders are still putting up with such a poorly managed company. I do find it amazing that BT have turned a deaf ear to the pleas of shareholders for so long. My comment on others finding jobs elsewhere was not really to do with fibre engineers but network/infrastructure planners from Global etc who’s skills are in demand globally. My comment “However, this does highlight very poor top level leadership that this ‘suddenly’ needs to be done.” relates to the need to shed 15% of the workforce. The issue didn’t arise overnight and the fact it was not dealt with head on indicates poor internal controls. However, the fibre ‘mood music’ volume is definitely being turned up. It’s not some sudden cull – GS started reorganisation a couple of years ago and has withdrawn from a number of services & markets as they are marginal / unprofitable as a result of which headcount will reduce over a period of years. Catch up to whom? BT has by far the biggest FTTP network in the UK. Its the others that are lagging behind. Hmmme well if you look(ed) at BT Global’s (old) web site you will see that they offer(ed) products such as SD-WAN. This type of virtual network will need planning by someone and infrastructure assessment. Or is there a way of implementing SD-WAN without planning it or checking infrastructure is capable? If so I have never come across it and I have been involved in implementing 2 SD-WAN setups. Unless of course alright-on-the-night IT is the new way to go? “Don’t let legacy technology hold you back. Streamline your infrastructure, sweat your assets and embrace digital opportunities.” is pasted directly from Global’s new look website: so someone there is claiming that they do assess/plan/consult on infrastructure which is presumably done by some people with those skills. I believe the network/infrastructure planning @DevonPaddler has in mind is the detailed “on-the-ground” planning of cables and routes and layout, whereas perhaps the same phrase applied to @A_Builder has in mind is the overall planning of the system architecture. Put as a example @A_Builder wants a connection between London and Birmingham at 10Gbps, @DevonPaddler identifies the specific cable route, arranges for works/permissions to add new cable if required, project manages these to deliver to @A_Builder as a solution for his/her needs. GS employ a pretty comprehensive selection of all ranges of IT professionals at all grades from analysts to architects, but one thing they don’t do is build infrastructure… therefore you can be pretty certain that no “fibre planners” as you term them will be in the mix of the job cuts however they play out. With the FTTP now expected to reach 10m don’t be surprised if Openreach revises down their G.Fast plans and knock a few million of the 10m plan. They will obviously want to get the best coverage for the least ££ and won’t want to overbuild G.fast with FTTP. Just ignore the comment that G.Fast is “critical” to their Ultrafast plans then?? @Juan. The ‘Fibre First’ ethos does indeed mean they “will not build Gfast and FTTP to the same locations” but generally we’ve always been told that the G.fast plan won’t be affected by what happens with the FTTP rollout, at least for now. One big reason for that is because G.fast is very quick and cheap to deploy, while FTTP is v.expensive and takes a long.. time. So it makes sense for them to get G.fast out there in super quick time, rather than force many areas to wait years longer for FTTP. None of this is to say that the FTTP rollout won’t eventually reach G.fast areas too because of course it will, it’s just a question of when. By then of course G.fast may be able to deliver even faster speeds or it might have been upgraded with something else, such as g.mgfast. Devon Paddler ..G.Fast is quick and fast and of course we will not overbuild it.. THis leaves too many ransom service gaps that BT seem incapable of filling. This inconsistency leads to the current default plan which appears to be to pay back government £400m (of the £536m capital deferral) of the £1.1bn grants so far billed, while failing to deliver what was once described as the mixed economy solution. This plan not to deliver and resource for in-fill which was the surest way to get a better WLA price for Broadband, while using the BDUK subsidies as intended will continue to plague customers and impact shareholder value. G.Fast adds more capacity for those who have VDSL. Your suggesting it will block FTTP more than 500-800m away. I thought fibre first was to review that thinking. Perhaps the best way is to roll out G.Fast and anyone that can’t benefit from G.Fast gets FTTP rollout priority. I put it to you that most people using the streaming giants also have traditional forms of TV… satalite / freeview / cable. Without suitable speed and reliability most people wouldn’t replace their traditional form with BT Vision (and yes… I know a few people who tried and then reverted). It’s one thing to lose internet… it’s another to lose internet and TV at the same time… much like a powercut. We’ve been at the point for a while where the expected household requirement doesn’t get close to the real world requirement. So the actual net reduction is going to be more like 7,000 jobs (much of those outside the UK). From the pension deficit payments, it seems something like £11bn is going to have to be paid out over 12 years, none of which is allowed for in Ofcom’s regulated pricing calculations. That, along with the capital investment is going to put a lot of strain on cash-flow. I suspect maintaining dividend payments will be a struggle and hence the depressed share price. @SteveJones: So why are you still holding on to your BT shares then? Sell them! Ofcom WAC’s for WLA includes an adjustment for the extra cost of funding the pension or more specifically the interest on the payments. So there is some adjustment but it may not be enough. There is an appendix on the matter. I might also add that about two-thirds of the job cuts will fall on BTs UK workforce of about 80,000, with the remainder coming from the 18,000 staff it employs internationally. Ofcom do allow for pension contributions. They make no allowance at all for the historic pension deficit (unlike some of the other regulators). The only thing recognised is that the liability affected the rate at which BT could borrow money. That’s all and it’s affect is fairly marginal when compared with nearly £1bn a year of cashflow. Steve, which “other regulators” do you have in mind? Have to admit I can’t remember coming across one wrt the main wholesale charges, as these are almost always “forward looking, efficient operator” based. As such pension deficits would be out of scope. This explicitly allowed for the costs of funding pension deficits on the principle that those pension schemes were inherited as part of the obligation to employees and ex-employees prior to privatisation. Aah, sorry I assumed you meant telecoms regulators. Dynamics of telecoms are very different to water and elec. I think the Capital Deferral is understated (from page 10 of statement), Q3 balance was £527m, re-invested £16m deferral referenced of £35m receipts, and £30m for the extra 1% take up as referenced and take off £2m for a repayment. I think they should add £44m to the £527m giving a total of £571m. It has been reported slightly differently on page 12, with addition to the deferral presented as an actual investment. Gross receipts also understated by £3m. And numbers change again on page 18 including the footnotes. AndyH, Devon Paddler, Would it not be a good thing to keep these monies in place to fund work that could be done by new 3,500 engineers? The only visible plan is to hand now more than £400m of this back to Government. This arises from a failure to plan and resource for the in-fill work needed in rural. History has a habit of repeating itself, so I am repeating myself again but under the contracts BT cannot just go ahead and unilaterally keep building until every last penny has been spent. It builds to the contracted amount and then stops and awaits direction from the local authority/devolved administration. those extra 3500 engineers have plenty to do, Openreach is still investing vast sums in their network and will carry on doing so both as commercial investment and as contracted BDUK works. You have misrepresented this issue so many times and been corrected so many times, it puts the credibility of everything you say into question. To make this absolutely clear, this isn’t cash lying around. It’s a recognition in the accounts of a future liability. It is a recognition of money that will have to be returned to local BDUK projects which they may, or may not reinvest. Could you please stop repeating what you surely know is an outright misrepresentation of the position. This simply is not a pool of money that BT can dip into for capital expenditure and then tell the government, sorry – you can’t have it back; it’s been spent. Steve, There has been no correction, just maligning. The ‘true ups’ and balances have not been published. @NGA – if ‘The ‘true ups’ and balances have not been published.’ how do you know you are correct? The Facts, from the what is in the public domain, there is still much to go at. It is not anti-BT, it is pro BT and UK engineering. The separation of Openreach was an unnecessary cost arising from the a group determined to mis-represent their capital investment and the costs of NGA. 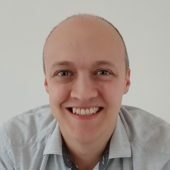 £400m of the clawback is at risk of being lost to UK connectivity, because of the dishonesty of those wishing to game costs and unwilling to plan and resource a more complete rollout. IN the q4 results document there was reference to BT repaying £4m or £16m depending on which section you read. Re-paying cash (WTF) .. when the requirement for full fibre is clear. Two points if concern; – £400m at risk of not being invested in UK Connectivity. The undisclosed LA/DA and BT capital contribution balances which are likely to dissipate to other projects leaving UK Connectivity in a poorer state that it might be. These arise directly from an flawed bid strategy aimed to maximise free cash flow at the expense of a national upgrade programme. It still needs fixing or the negative consequences will continue to accumulate. Surprised the stock price has dropped. The way some people spoke shareholders were allegedly clamouring for an announcement like this from BT. Reduced earnings forecasts for the next FY. Global Services really is the thorn in BT’s side at the moment, which explains the drastic restructuring plans. In the long run this will strengthen the stock price so it is a good thing. These things needed to be done. They make sense at a corporate level. The issue is that £500M was lost down the back of the sofa last year and now they have discover they have 13k people down the back of the same sofa too. That does not speak to “we have managing this well” or that management has a particularly focused eye on the ball. Hence the stock price reaction. Investors don’t like a strong smell of corporate inertia or denial. If this had been done 12-18 months ago, ahead of the curve, then everyone at BT central would be smelling of roses by now. The problem is that it looks like the market movement/momentum has forced BT’s hand which does not go down well. I quite agree. Global is looking like a money pit. I’m sure it will bounce back. Like any big company there’s a lot of waste I’m sure. It’s the right thing to do, especially if its being over managed. What a complete disaster of a leadership team, we’ll fire a load then hire half as much back… to cover the loss of people to do the jobs? I’m out of contract with them now and need to look at a new provider. Not AA as they are overpriced. Cost and timescales of GFast v. FTTP installation? Given that people buy cheapest speed they need it does not matter how it gets to you. @Asrab – G.Fast is supplied from the cabinet, if you move to IPdelivered voice then you do not need the copper from the cabinet back to the exchange, or the exchange analogue kit. the fibre to the cabinet can be hosted elsewhere allowing the voice switch-off. Hope this clarifies your misconception. @Gadget – time to dump LLU? Then why invest in cabinet-based G.Fast at all when they already get sufficient VDSL services? Because the service is geared more towards smaller businesses and the small group of consumers that want/need the extra speed. It also provides a platform for people to take faster speeds in the future, rather than waiting a substantial period for full fibre deployment. @AndyH: What future applications will require faster speeds which can’t be served by good VDSL lines? How far into the future are you looking at before the need arises for normal boradband users? And its not just for small businesses, in fact the initial deployment will pass more homes than it will businesses. Given your connection probably goes either through or near one of those 3 POPs to get to the Internet as a whole probably not. I’ve come to the conclusion it’s all lies, damn lies and statistics. In Scotland we have, I am told, 95% fibre coverage and an average broadband speed of 43.6Mbps. I don’t even know anyone who has a service with that maximum speed even in our local fibre enabled village where 40Mbps is the theoretical maximum. It seems to me BT are working hard to get us up to 2010 levels of broadband service but if it takes until 2030 is it really worth it? In other news: I see South Korea are rolling out 2.5Gbps and 10Gbps by the end of the year. sigh. @Norbert – I’m not sure how 40Mbps is the theoretical max, unless a) you are that far away from an enabled cabinet that this is the fastest, or b) No-one want to pay the extra for the 80Mbps service. If as I suspect its a) then someone needs to pay for a new cabinet and fibre closer to you and so far both BT commercially and BDUK projects have not deemed it financially viable. There are approx. 2.2m premises in Scotland, but most are concentrated in the Central Belt and partially along the East Coast, anywhere else has a low population density that makes investment decisions difficult. Your best hope is the R100 project which only aims to guarantee a minimum of 30Mbps to everyone, but in doing so might add additional infrastructure to raise your speed or lower your upgrade costs. The is a whole different market in South Korea without State Aid restrictions and a different government style and ideology and different demographics and population distribution, but as you say with potentially higher internet and maybe downsides on other indictors and life choices. Wonder how the speeds are in South Korean villages?